in to the promised land. husband he probably chose for her. through the grace of David, a former shepherd himself. Perhaps David thought that Nabal had simply overlooked this common courtesy. festival. David's messengers greeted Nabal with respect and blessing. Additionally, they reminded Nabal of the blessing that David's men had been to Nabal's shepherds. 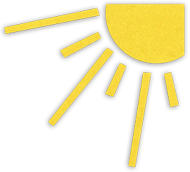 Then they requested that Nabal return some kindness by giving David and his servants "whatever you can find for them." 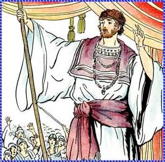 prophecy from God that David would become his king one day. king whose kingship would soon end. 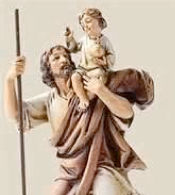 Of course, Nabal may have also been a coward who was afraid of the murderous Saul, and did not want to feed David as the priest Ahimelech had done and caused Saul to order the slaughter of 85 priests in Nob, along with all the residents of Nob, including infants and children. with fruits, breads, meats, and drink enough to feed a small army. enemy than it was to see the men under his guidance be abusively spoken of? Nabal. He was angry that Nabal had repaid him evil for good. 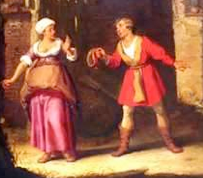 Abigail quickly dismounted from her donkey and bowed respectfully to David. roasted grain, and two hundred cakes of pressed figs. would remember her when the Lord had brought him this success. When Abigail returned home Nabal was having a banquet like that of a king. attack. Ten days later he died. wrong. He then sent word to Abigail, asking her to become his wife. never mentioned in all the troubles within David's royal family. becoming David's wife as being a reward for her persevering faith. life, the husband may come to repentance and faith in Christ. but even those must cry out to God, "Remember not the sins of my youth." worldly wife who loved her life in this world more than obedience to God. who was unequally yoked to the unfaithful wife Gomer. Buchanan in The Great Gatsby who said, "Rich women don't marry poor men,"
even decadent entertainment that comes through the TV screen and movies. 1. How do you think Abigail came to be Nabal's wife? 2. Contrast the person of Abigail with the person of Nabal. 3. Why were David and his men wandering in the wilderness? 5. How did Nabal act rudely towards David's messengers? 6. How did Abigail become involved in this matter? 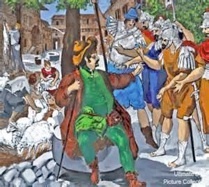 spared the life of King Saul who wanted to kill him? 8. 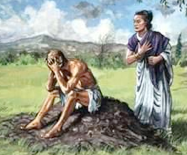 How did Abigail appease David's wrath? 9. How do we know that Abigail believed in the Lord? 11. What happened to Nabal after Abigail told him what all had happened? 12. How did David react to Nabal's death? 13. What is meant by an "unequal yoke"? 14. What is the main kind of "unequal yoke" we should avoid? yoked, that is, Christians married to unbelievers? 18. Name some other Bible characters who were unequally yoked. 17. What unequal yoke are we admonished to take on ? 18. Why should special private prayers be made for unequally yoked couples? 19.Looking back at Nabal’s words to David’s messengers, why is it always out of the character for the followers of Jesus Christ to act in a rude or disdainful manner toward any other people? tell why David was in the wilderness with a band of men. this time? In 23:13 how many men were there? conscience was. What bothered his conscience? How did Abigail describe her husband? negative way to another man? To anyone? negative descriptions of a spouse? she not check with her husband before taking the food to David? What does Acts 4:19 say and could it be applied in this situation? Read I Samuel 25:26-31 and see how many times Abigail referred to the Lord. What did Abigail know about David? Did David take the food Abigail brought? When Abigail became David's wife, how many wives had he had before? Why was Saul's daughter Michal no longer David's wife? to certain kinds of programs? husband In I Peter 3:1-6? 2:6-8, tell why he was unequally yoked in marriage. The story of Abigail demonstrates the problems in marrying someone who is not a person of true godly faith. Many call themselves “Christian” today who are not transformed in their hearts by Christ. 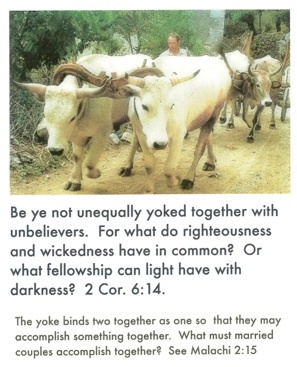 We are told to not be unequally yoked together with unbelievers. Abigail’s husband was a man whose name would have been on the church rolls, but he loved money and despised others, treating them with disrespect. Abigail’s acting wisely ended up saving many lives and God Himself dealt with her foolish husband. 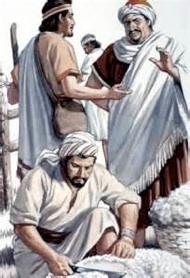 The story of Abigail is in First Samuel 25. The story of the slaughter of many innocent people at Nob is in I Samuel 22: 11-19. Abigail was both beautiful and wise, and she dared to take action that was contrary to that of her husband Nabal. At sheep-shearing time, David’s men were not invited to Nabal’s festival. Nabal, whose name means “fool,” acts with extreme rudeness and disdain toward David’s messengers. David asks the young widow Abigail to marry him. One of Nabal’s servants, alarmed at Nabal’s rudeness, let Abigail know about it. Abigail met David with food as David was on his way with intentions of killing every male employed by Nabal as well as his family. Nabal has a heart attack and dies 10 days later. Being unequally yoked in marriage can bring on more difficulties than expected. If you are a Christian in an unequally yoked marriage, get some help from Christian literature or counseling on this subject. Click on this Christian literature hyperlink. The only “unequal yoke” we are to accept is that of being yoked to Christ, who not only carries our burdens (if we are willing to give them to Him) but who bears each child of God up in His everlasting arms as well. You may go to any of the highlighted Bible references quickly by clicking on them. This will link you directly to the Bible passage as it appears in the New King James Version on the Bible Gateway website. Unkind, rude, or disdainful behavior (like Nabal’s) is totally out of character for Christ’s followers. Apparently the righteous Job was unequally yoked in marriage.